The Matakana Magic Home Learning Challenge was originally formulated by Mr Neil O’Reilly, an ex-Matakana School teacher, to acknowledge and value the learning children do outside of the classroom, encourage links with the wider community and develop motivated, independent, life long learners. Each child’s learning at Matakana School is a partnership between the student, the school and parents. Research has found a significant correlation between home/school relationships and student achievement. The program consists of a range of challenges arranged around the MAGIC values: Mature, Articulate, Goal Driven, Inquiring and Caring. The initial programme was discussed with students and their suggestions and interests were used to formulate the challenges. The Home Learning challenges don’t replace weekly reading, maths or spelling practise. There are a range of tasks from which the children can choose, with a minimum number needed to complete the programme for that year. Many of the tasks are developed and built on from the previous year. For many challenges the emphasis is on the process not the end product, practical ‘getting out in the community and environment’ activities. The programme will be introduced and explained to the children early in Term 1, and they will be given until late October/early November to complete the required number of challenges. There will be regular class time allocated for the children to discuss how they are doing, for the class teacher to offer advice and encouragement and a sharing time to present work, discuss or show photos of what they have done. 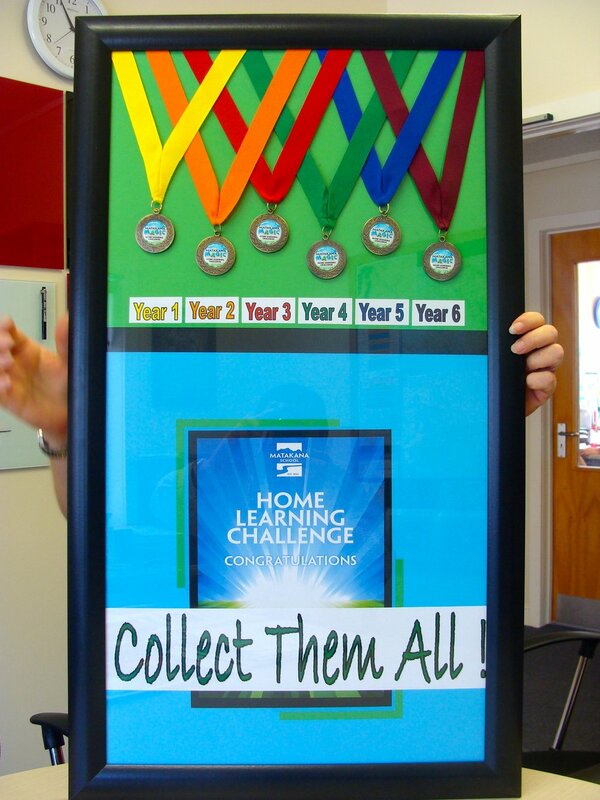 During term 4 there will be special celebration assembly, in which the children who complete the challenges will receive a certificate and Magic Home Learning Challenge medal. Participation is entirely optional. Our aim, however, is that the students will be motivated to take part, and will take the opportunity to learn new skills, develop an interest in their local community, and have fun with their family and Whanau.